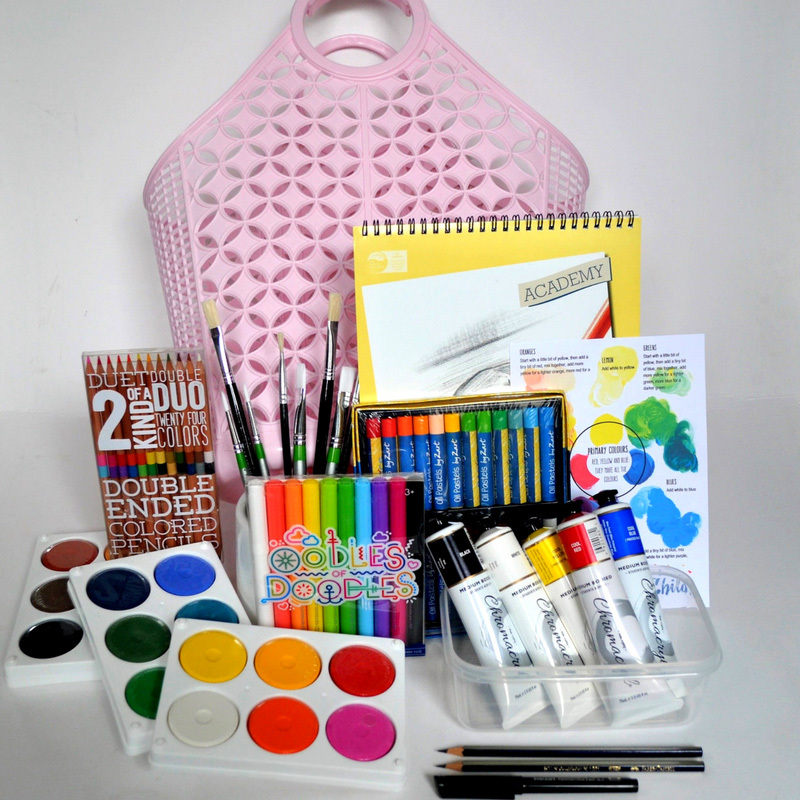 This amazing Art Studio in a Bag, has everything that you need to create. The studio unfolds and all is at your finger tips ready to create art. 100% cotton non slip table cover. And all stunning vintage look Sunjelly travel bag (available in pink (shown) or mint.